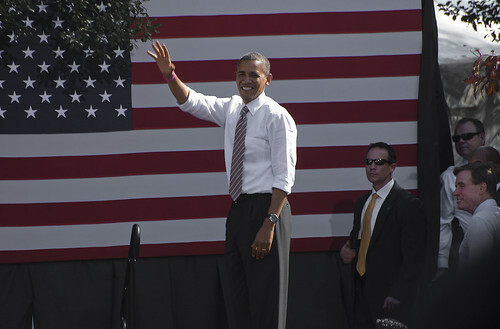 When Barack Obama won the US presidential election race in November 2012 political analysts put forth several theories as to why his campaign was so successful. These ranged from the changing demographics of the country, with ethnic minorities voting in unprecedented numbers, to the challenger, Mitt Romney, not being conservative enough to mobilize the Republican base. One factor which cannot be ignored, however, is the successful way in which the Obama campaign used technology throughout the election season. The campaign team included a group of specialist technology professionals named Team Tech. 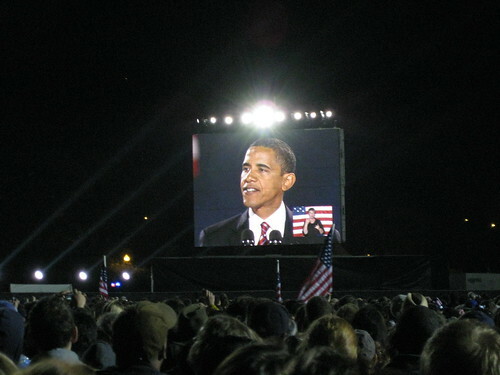 This team used various Internet services, cloud computing services, and open source software to promote the candidacy of Barack Obama on a massive scale. It was an extremely efficient operation that built upon the successes and learned from the mistakes, of the 2008 campaign. In the 2012 campaign, there was a greater emphasis on cloud computing services, with Amazon being the chosen provider. The sheer size of the operation placed a huge strain on the company’s servers. To manage the operation effectively the Narwhal system was developed. This allowed all of the applications used in the campaign to be fully integrated. Examples include Dashboard, which was of tremendous benefit to grass-roots campaigning by making it incredibly easy for volunteers to structure their efforts geographically. In particular, it allowed activities such as canvassing and voter registration to be easily organized. There was also Dreamcatcher, which was a highly advanced analytical tool for targeting likely Democratic voters. To break this down further, volunteers across the country could contact voters using an application called Call Tool, which provided telephone numbers, approved scripts, and offered an option for taking detailed notes about each call. Each individual volunteer’s activity could be tracked using an application called Identity, with everything being run using Dashboard. All of the data that was collected in this way could then be processed using Dreamcatcher. The result of this integration of applications was that the Obama campaign, although massive in scope and logistically complex, was in reality highly organized. Effective communication was prioritized, and the Narwhal system allowed volunteer groups in states across the country to be working from the same page. Data could be easily shared and acted upon extremely quickly. In short, everybody had the tools at their disposal to run an effective campaign. The Narwhal system worked so well because of its architecture, which was designed to be as flexible as possible for developers. It was this services oriented architecture (SOA) that allowed the full integration of applications centered around a shared data store. It also allowed each individual element of the campaign, such as the analytics department or the social media team, to work efficiently. When Narwhal was in the development stage it was decided that flexibility was paramount to allow developers from different programming backgrounds to work within the framework. An application programming interface (API) was written in Python to aid in this. In terms of data collection and transfer, the system utilized the MySQL-based Relational Database Service from Amazon. The same company also provided the DynamoDB database that played a key role in the Obama campaign’s social networking strategy. The end result of the Democrats’ use of technology is that their campaign was undoubtedly better run than their counterpart’s. It was more efficient at reaching potential voters and better at delivering the important messages of the party. The Obama Tech Team even built a specialized API for taking campaign donations quickly and easily. The technology was not the deciding factor that swung the election in President Obama’s favor, but it certainly played an important part. As a result, it seems unthinkable that the Republicans will ignore the importance of technology in the 2016 presidential race. In fact, the utilization of technology is sure to play a crucial role in the outcome of all future elections.